In the Mühle Tiefenbrunnen the culinary craft has a long tradition: the brewery Tiefenbrunnen had brewed beer for the city already in the belle époque and later the Wehrli Mühle grinded grain for 70 years. 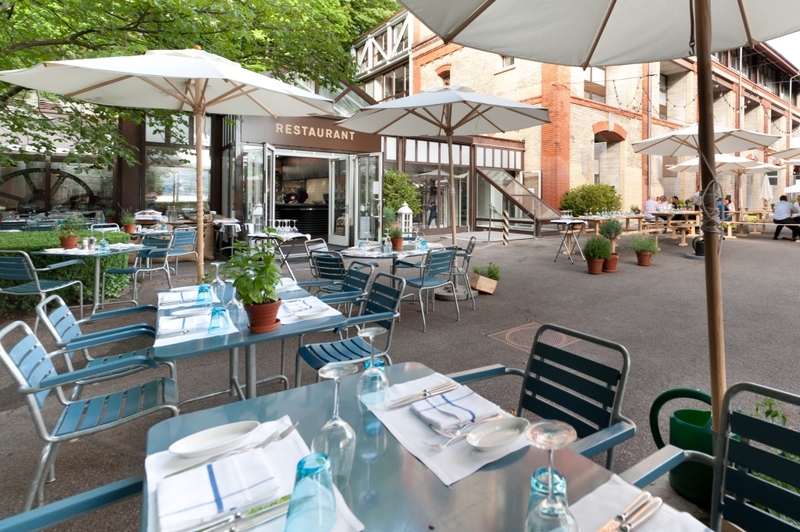 The Blaue Ente is the culinary oasis in the listed buildings of the Mühle Tiefenbrunnen. In its historical premises you may host your private celebrations or business events on 205 m2. The old sandstone wall and the machine, which are integrated as design objects, give the restaurant that certain something. The lighting and the dimmable illumination create an atmospheric ambience. During your events the kitchen team spoils you with seasonal ingredients that are market-fresh. Much value is placed on the quality of the foods and here they know their manufacturers and suppliers in person. Even the pasta is homemade at the Blaue Ente! The restaurant can be arranged for 120 guests at a seated dinner or for 180 people at a standing reception. When the weather is fine, you may also use the courtyard for your weddings, birthday parties or aperitifs. 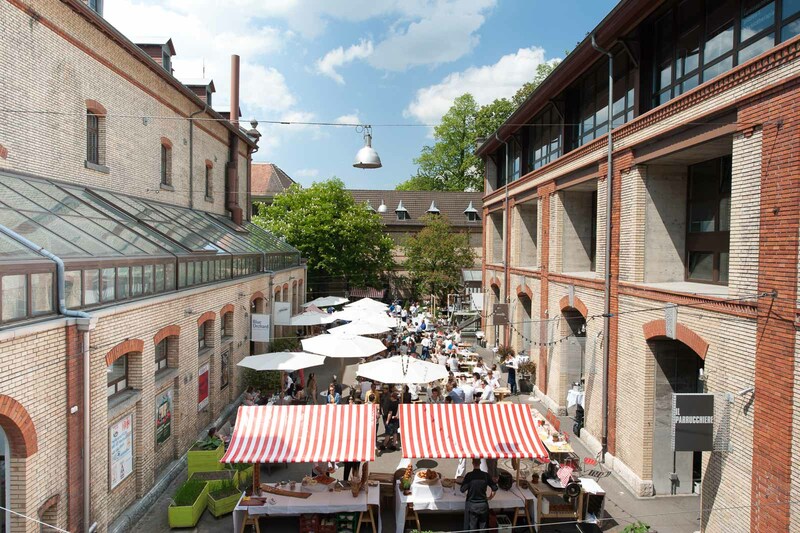 Surrounded by historic brick buildings and trees, the Mühlehof offers an idyllic setting. For your celebrations or business events you can also use the further rooms of the Mühle Tiefbrunnen. Choose between the modern conference room (60 m2 / up to 40 people) or the comfortable meeting room (28 m2 / 8 people). The bright rooms contain conference equipment such as screen, flipchart and white boards. In the building complex “Mühle Tiefenbrunnen” you also find the Kornsilo (70 people), the Backstube (40 people) at the Mühlerama or the Miller´s studio (140 people).